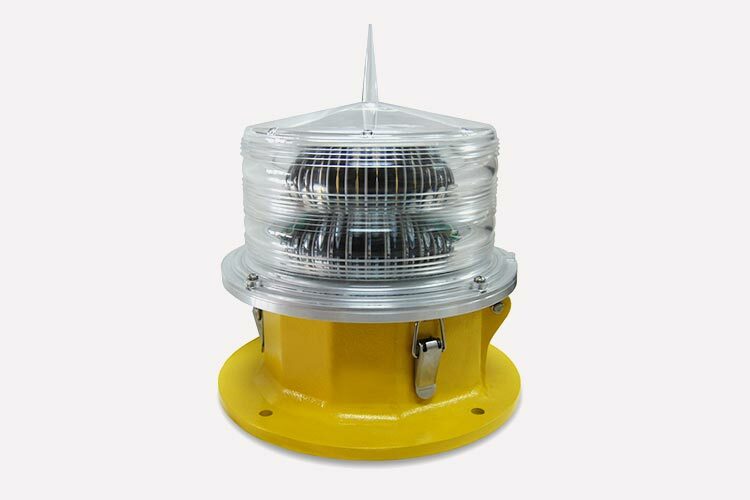 A medium intensity obstruction light for daytime and night time marking of towers (telecom, GSM), smokestacks, buildings and any other potentially hazardous obstructions. The WL-20K medium intensity obstruction light is for daytime and night time marking of towers (telecom, GSM), smokestacks, buildings and any other potentially hazardous obstructions to air traffic with a flashing white safety light. It is compliant with ICAO standards. The enclosure is made of die casting aluminum with a powder coated finish. It is light weight, waterproof, shockproof and corrosion resistant and the self-contained wiring compartment gives the product ease of mount. The light source consists of external long life LEDs, to ensure maximum life of the product. The most important feature of the WL-20K is that it works as a dual light. At day time the LED arrays are working and emit a 20,000cd light intensity and at night time, using the integrated change-over relay, the LED array will work to emit a light output intensity of 2,000cd. All LED’s are connected in parallel, which are powered by low voltage, constant current; when and if one fails it will not affect the other LED’s.